Among many awards, Austin received a 1970 Emmy Award for an in depth documentary focusing on the study of violence in Africa entitled, The Savage Root. 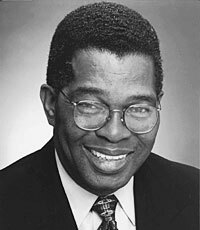 One of Boston’s first African-American TV newsmen, Charles K. Austin joined WBZ-TV 4 in April 1968 as a film processor. He went on to work as a film editor, booth announcer, sports reporter and news anchor. Austin studied voice at the New England Conservatory of Music, attended Boston University’s School of Journalism and studied at the Pointer Institute. In 1984, Austin was the first television reporter from Boston to travel to Sudan and Ethiopia where he covered the famine crisis. Among many awards, Austin received a 1970 Emmy Award for an in depth documentary focusing on the study of violence in Africa entitled, The Savage Root. He also received the Silver Circle Award from the New England National Academy of Television & Sciences for his significant contributions made over twenty-five years or more to television, to the Academy, to the community and to people training for careers in television. In 1996, the Charles K. Austin Prostate Health and Cancer Education Outreach Program was named in Austin’s honor by the Boston Medical Center. In 1997, Austin received the Gilda Radnor Award from the Greater Boston Wellness Community honoring individuals who engendered inspiration in cancer patients through their fight with this disease. Austin was also inducted into the Massachusetts Special Olympics Hall of Fame and was named the number one crime reporter in Boston by the Boston Police Detectives Benevolent Society. In addition, Austin also is a recipient of the Boston University Dennis Kauff Award for excellence in Broadcast Journalism, The Criminal Justice Resource Institute Award for Civic Activities, The Massachusetts Cystic Fibrosis Community Service Award, The Massachusetts Association of Minority Law Enforcement Officers Award for Outstanding Reporter and The Hinton Award from the State Department of Public Health for improving prostate health care in communities of color. In 1987 and 1988, Austin was awarded First Place in the annual newsmakers convention of the National Association of Black Journalists for his coverage of breaking news. He also received an Honorary Doctor of Humane Letters Degree from Fitchburg State College in May of 1996, and another from the Southern New England School of Law in 2006. Austin recently was awarded the President’s Volunteer Service Award and therefore was invited to President Obama’s Martin Luther King Service Award Presentation for 2011. Charles Austin now serves on the director’s boards for the Massachusetts Prostate Cancer Coalition as well as The Seven Hills Foundation. He and his wife have three children and five grandchildren.